The book includes fifteen essays and an interview. 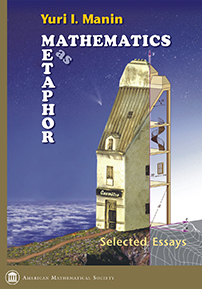 The essays are grouped in three parts: Mathematics; Mathematics and Physics; and Language, Consciousness, and Book reviews. Most of the essays are about some aspects of epistemology and the history of sciences, mainly mathematics, physics, and the history of language. English translations of some of the essays, originally published in Russian, appear for the first time in this selection. One of them is the introduction to the book Computable and Uncomputable, where the idea of a quantum computer was first proposed in 1980. Another is an essay on the mythological trickster figure, where the evolutionary role of manipulative behavior is discussed in connection with the problem of the origin of human language. With the foreword by Freeman Dyson, this book will be of interest to anyone interested in the philosophy and history of mathematics, physics, and linguistics. Undergraduates, graduate students, research mathematicians, and general public interested in philosophy and history of mathematics, physics, and linguistics.